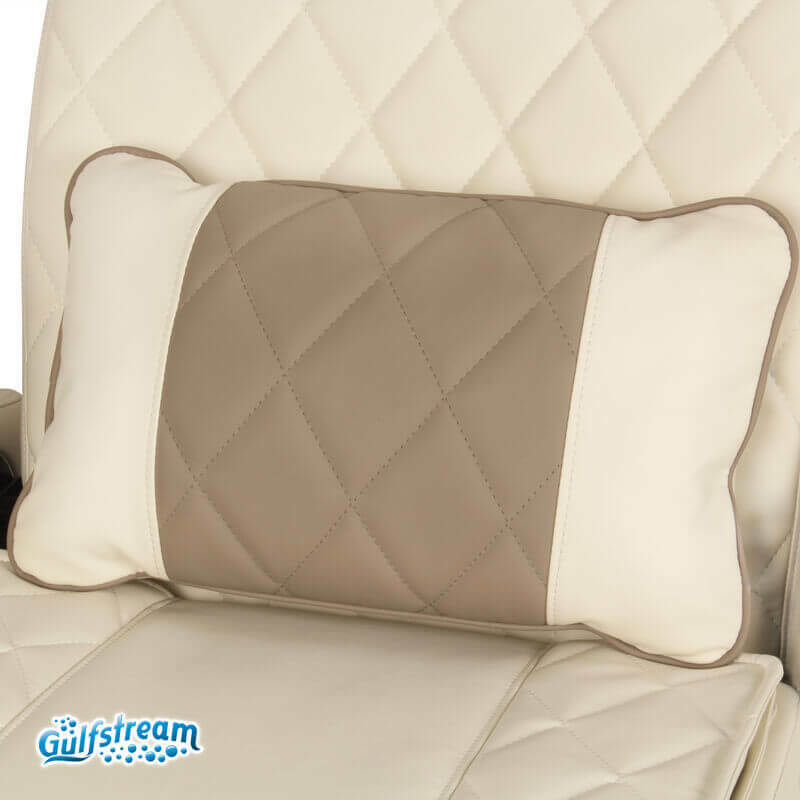 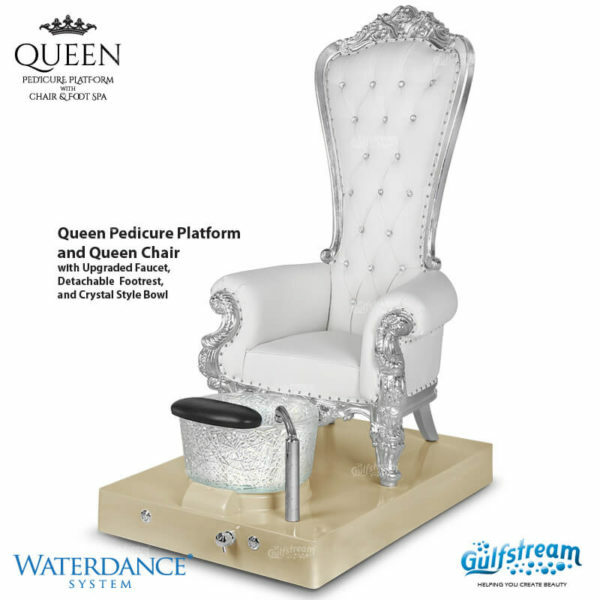 Queen Pedicure Platform | Gulfstream Inc. 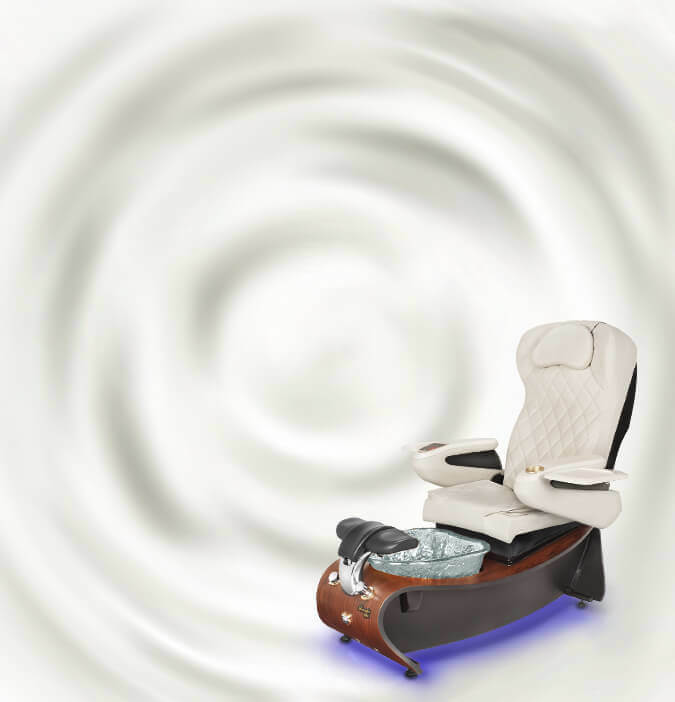 Introducing the Queen Pedicure Platform with or without Queen Chair incorporating the spa-inspired Waterdance System. 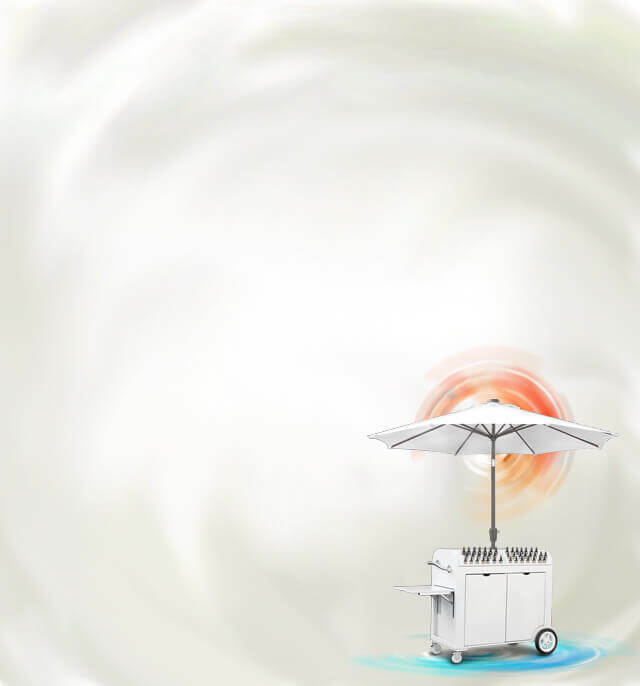 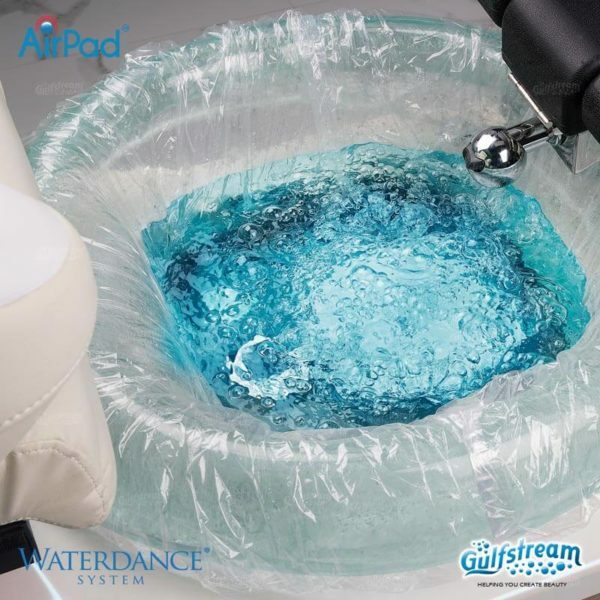 This is the worlds first heat and Ozonator Technology with no cross contamination and 100% sanitation giving satisfaction to not only clients but technicians too. 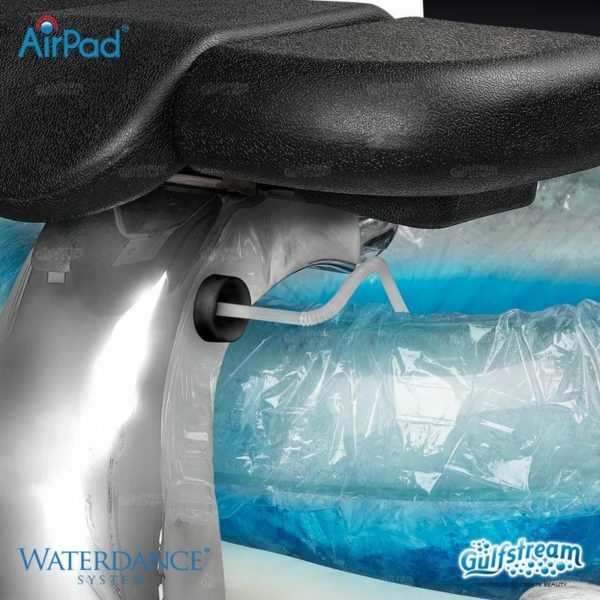 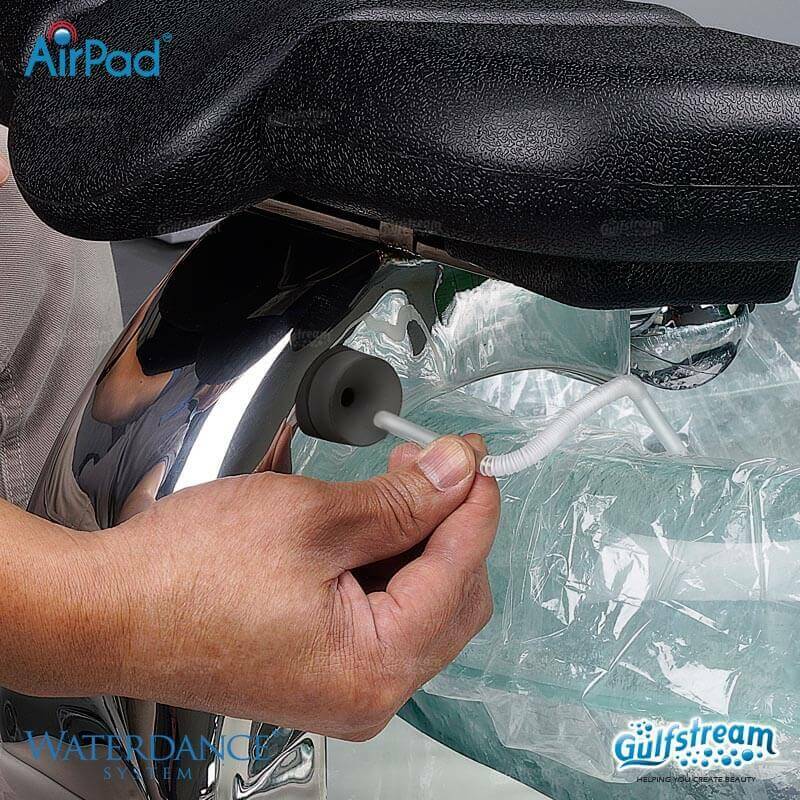 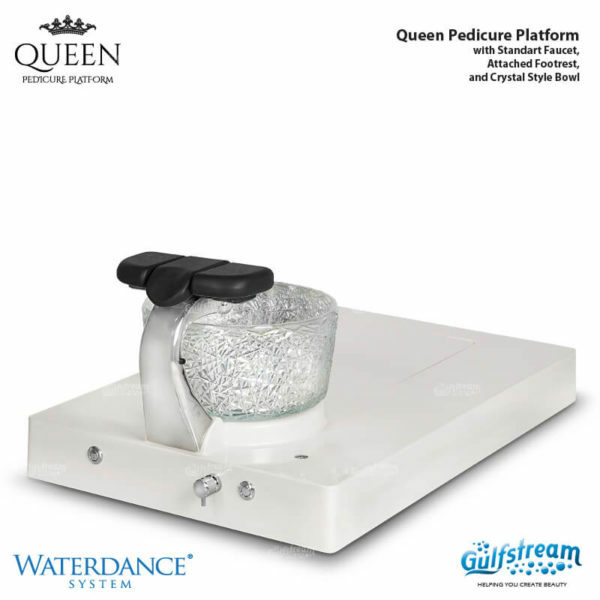 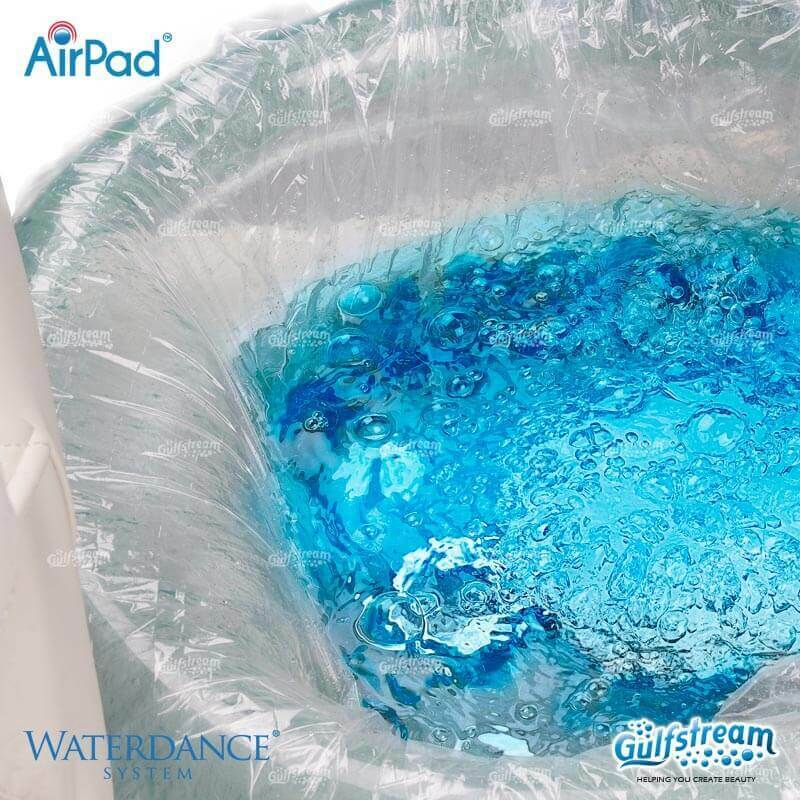 Waterdance System comes with Queen Pedicure Platform as a standard, included the price. 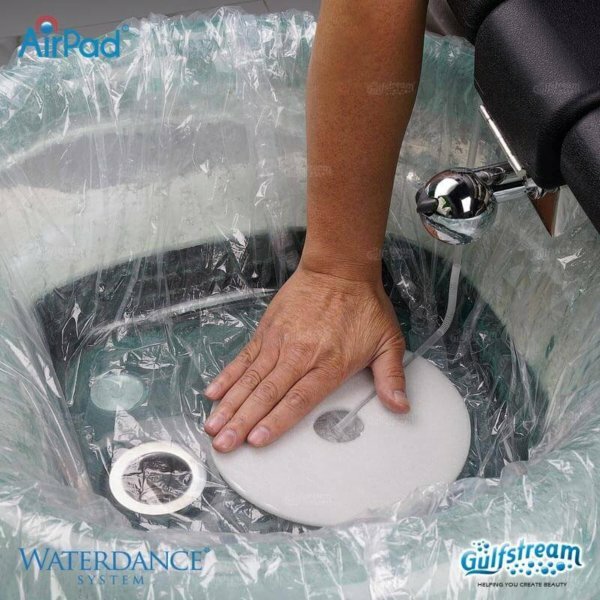 But you have option to get without Waterdance System. If you select without Waterdance System option; total price will be decreased $404. 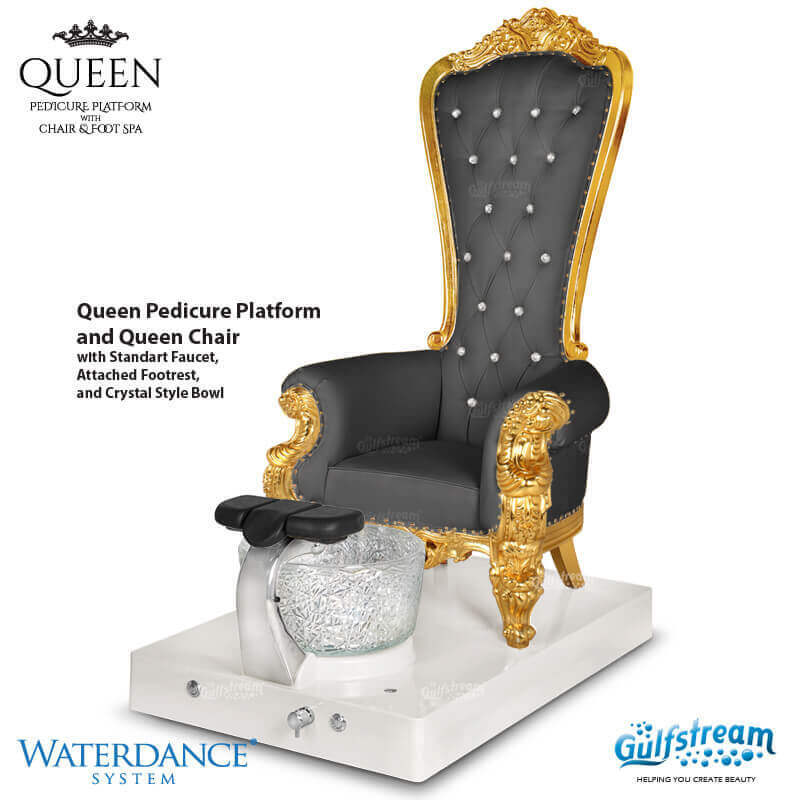 Introducing the Queen Pedicure Platform with or without Queen Chair incorporating the spa-inspired Waterdance System. 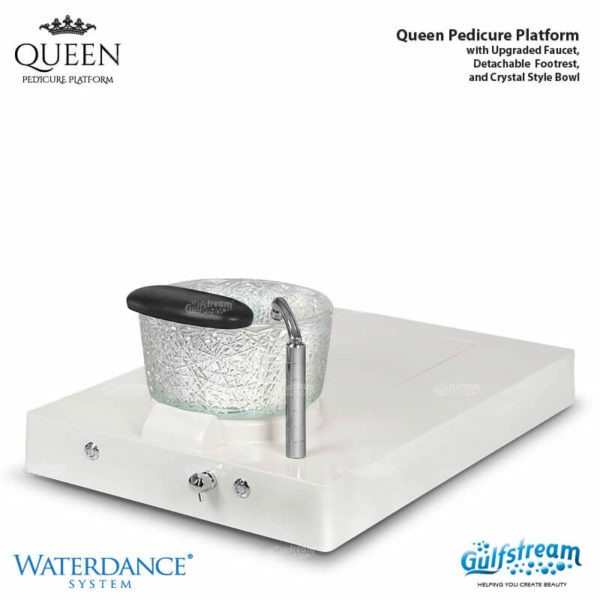 Immerse your clients feet in a uniquely shaped bowl and let them experience pure pleasure. This is the worlds first heat and Ozonator Technology with no cross contamination and 100% sanitation giving satisfaction to not only clients but technicians too. 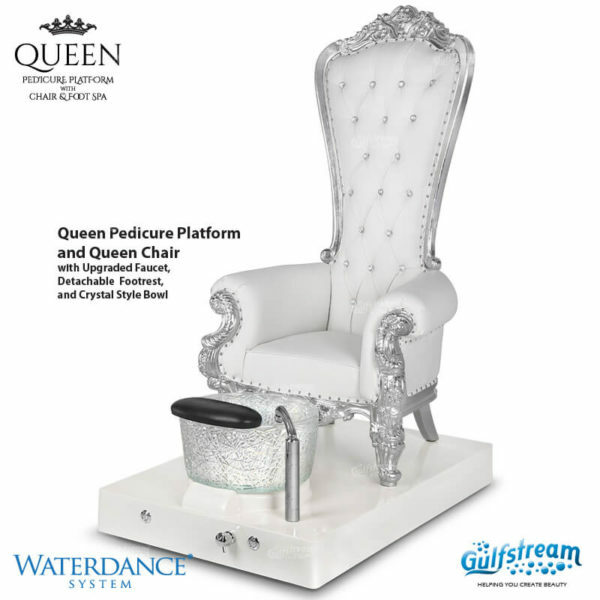 Queen Platform complete with optional Upgraded Faucet, optional Footrests, Standard Heater and Waterdance System. All Pedicure Spa Base colors are available for the Platform. 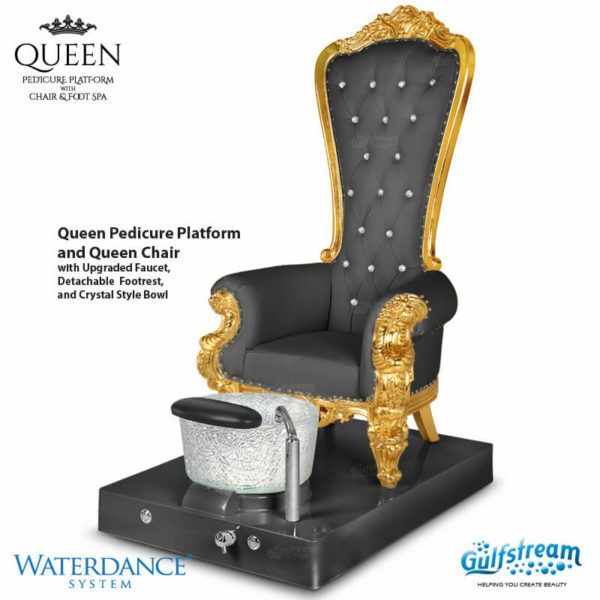 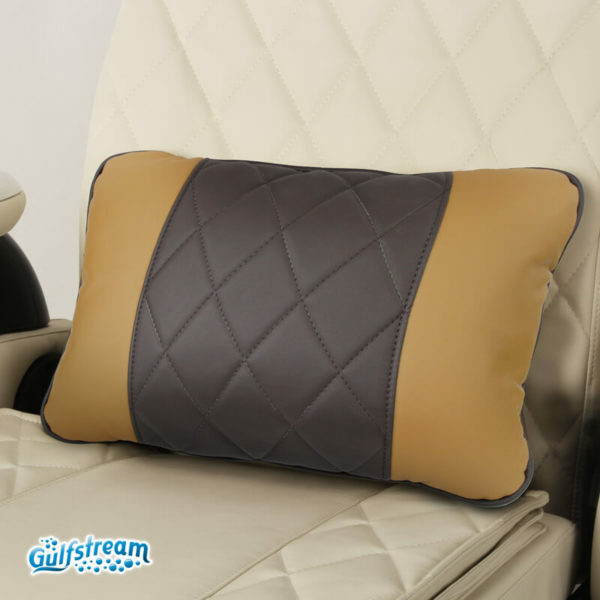 Footrest is standard Black & Chrome, available in Gold at an additional charge. Crystal “Bird’s Nest” Style Bowl. 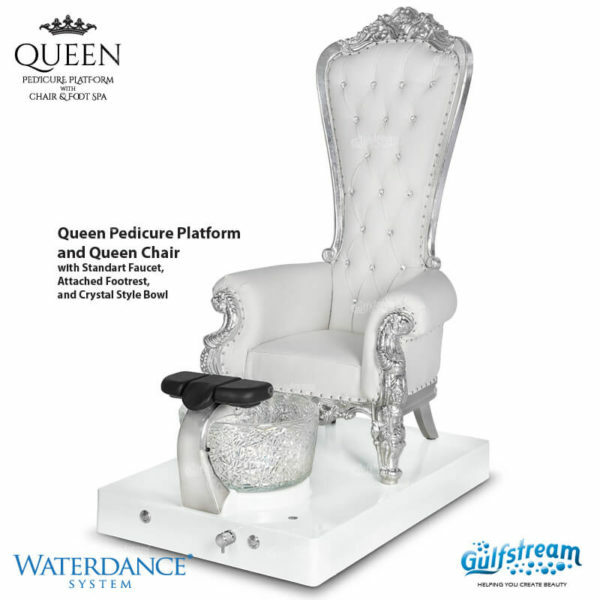 Platforms are plumber and ready for installation.